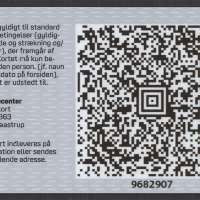 Youth cards for 16-19 year olds and out of education - 20,91 kr. / day. Student and doing youth education - 12,01 kr. / day. Higher education - 20,91 kr. / day. Valid for zone 1 to 99. 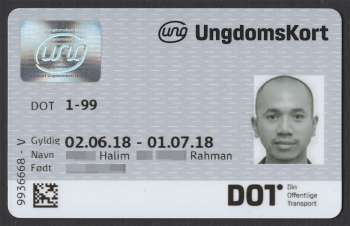 Youth cards are issued for a period of at least 30 days. Permit holders to travel unlimited throughout the tariff / zone group in which he lives. Permit travel in other fare areas / zone groups for children's rates, which at most traffic companies is about half the price of an adult ticket. Travel across fares / zone groups with bus for children's fare, which is about half the price of an adult ticket for most traffic companies. Permit holders to travel across tariffs / zone groups by train and receive discounted train tickets throughout the country (at DSB and Arriva). Permit holders to get discounted travel across the country by the buses.